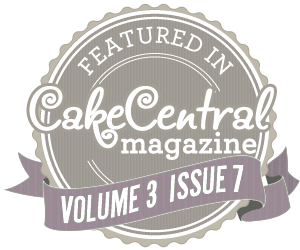 I have been featured in the latest issue of Cake Central Magazine. I was asked by the editor of Cake Central Magazine to create a grey and cream cake with a 'less is more' theme for the latest issue. My cake is featured on pages 33, 38 and 39. The issue is available to download here. 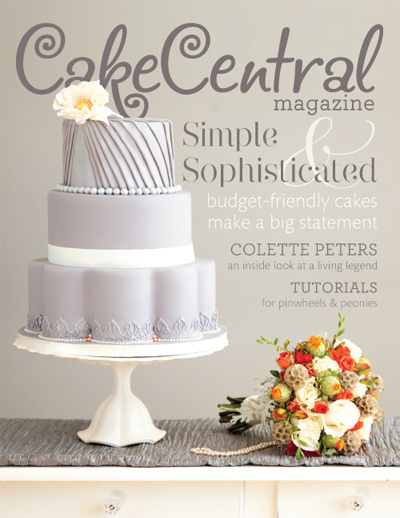 The pages of Cake Central Magazine feature incredible cakes, upcoming and celebrity cake decorators, recipes, tutorials, latest trends, and more for the novice to the professional cake decorator. This premium publication is for anyone who bakes, makes cakes, aspires to make cakes, watches cake decorating shows, or has an interest in beautiful food. Thanks Tammy! I was really honoured to be asked! 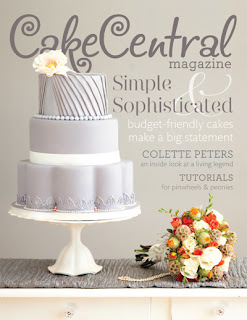 The magazine is available as a digital download here http://shop.cakecentral.com/products/cake-central-digital-magazine-subscription and each issue is then available to download in PDF format and on the iPad.